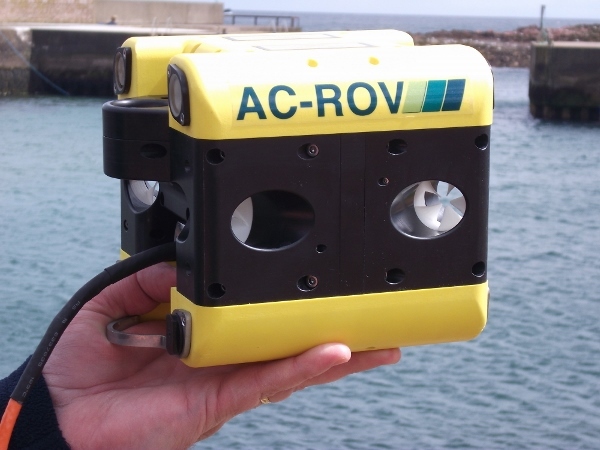 As a BUDDY the AC-ROV 3000 can keep a watching eye on the host vehicle. Duties include checking the tether, giving added perspective on any tool deployments and generally providing an overview of operations. 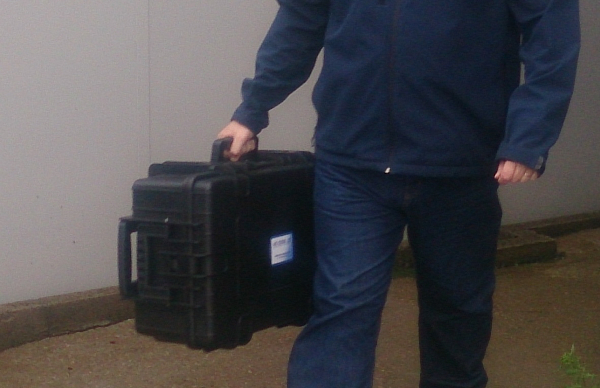 This adds up to reducing risk, limiting host vehicle movement and increased productivity. As a SCOUT it can be advanced into areas where the host vehicle can not go, or the risks for it are too great, IE: pipe work, wreck inspection, thermal vents etc. Insurance cover for high risk operations can be difficult to obtain or prohibitively expensive. 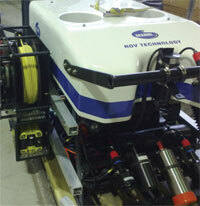 This is where a less expensive asset comes into its own, which was one of the design drivers for the AC-ROV 3000. 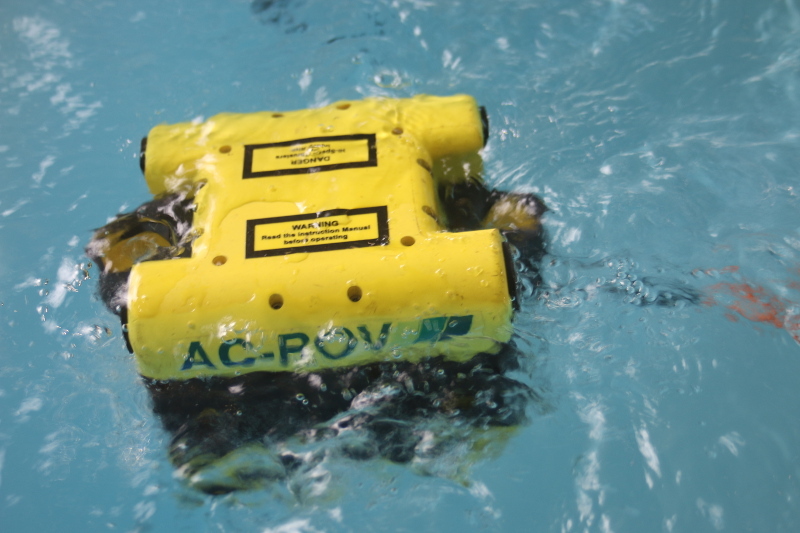 The vehicle is small, simple and [AC-ROV 3000 Fly Out Micro ROV] robust thereby minimising the value and maximising the durability of the part exposed to the greatest risk. 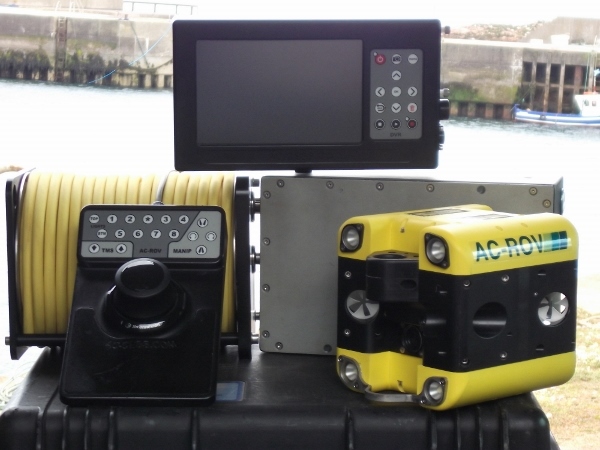 Inline with the AC-CESS ethos of mobility and robustness, the AC-ROV 3000 retains the clean, snag free shape and orbital mobility of the original AC-ROV underwater inspection system. 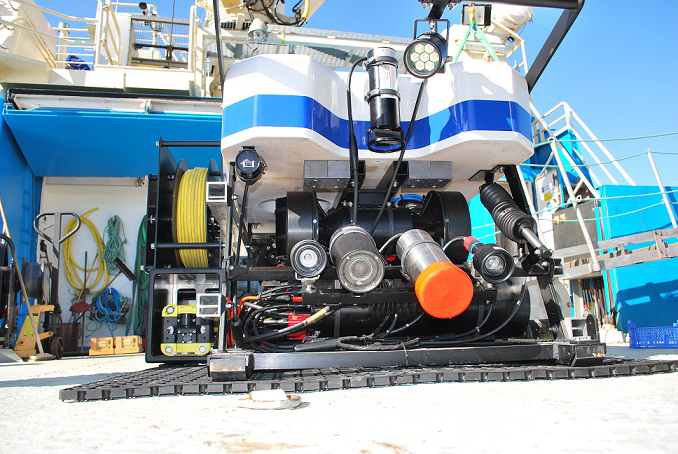 The vehicle is garaged on the host ROV and is deployed and recovered by an electric Tether Management System (TMS), another All Oceans specialisation.